It seems like just about every parent thinks their child is cute enough to be a kid model. Getting into the modeling industry can be a lengthy and time-consuming process, as much work for the parent as it is the child. Parents love to hear how adorable their child is. Perhaps you have even been approached by people who suggest modeling as a way to showcase his/her looks. No matter how cute your child is, you should know that it takes more than just a cute face to break into the modeling field. The most important part of modeling is your child's personality. Is she/he shy? Outgoing? Reserved? Kids who go into modeling need to be able to interact with strangers (under parental supervision), be friendly, and have patience for potentially long photo shoots. Being able to take criticism well and handle rejection are other necessary child behavior traits, especially for older kids. Models also need to be photogenic. Assess your child's ability by dressing him/her in plain clothing and snapping a few photos. Can he/she hold a pose for a few seconds? Ask older children how they felt about the amateur photo session. If your kid did not have fun with the activity, then modeling is not for him/her. Young children, such as toddler and preschool ages, need to be able to follow directions especially well and have the ability to interact with adults. Kids need to be able to handle themselves maturely. 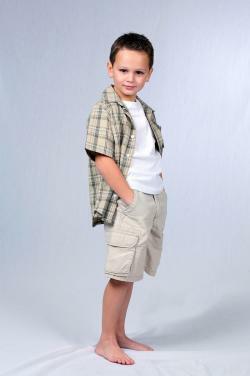 After assessing your child's ability to be a kid model, you need to find a way to break into the child modeling business. Reputable agencies and managers do not ask for money up front. Instead, they take a commission off work your child receives. Professional, expensive photographs are usually not needed for kids under age 4, as their looks can change quickly. Instead, simple head and body snapshots are usually sufficient. Pro shots should be taken at a studio, not at the agency, and money should be paid to the photographer directly. Most modeling schools are out to make money from fees, and do not guarantee any work. Legitimate agencies/managers will give you time to review a contract before signing it. If you are approached on the street by a photographer, manager or agent, check his/her reputation with the Better Business Bureau. Also ask to see a portfolio of work their clients have done and get into contact with prior clients. Sometimes a simple Google search will weed out nonlegitimate offers. To get your child started in modeling, you want to have up-to-date photos. One or two headshots (smiling and serious) and a full length body shot are often enough. Keep clothing and hair simple and unadorned. Send out photos and your child's statistics (height, age, clothing size) to agencies in your area. Interested agents will then call you if they want to represent your child or have work for him/her. Entering modeling photo contests, such as ones sponsored by large companies like GAP. Competing in beauty contests, locally and nationally. Enter fashion shows put on by malls or children's clothing companies. Visiting open casting calls held by reputable agencies is another way to find kid modeling work. But, watch out for casting calls that seem to accept everyone, then require professional photos you pay the agency for, and enrollment in a modeling school, also paid to the agency. These casting calls are usually scams. While it's best to research modeling agencies in your specific area individually, there are a few recognized agencies that represent kids. There are also some agencies that represent babies. Founded in 1967 by model Wilhelmina Cooper, the Wilhelmina agency has a longstanding presence in the industry. Their kids and teens division has modeling and brand ambassadorship opportunities. In order to get started, parents should complete the online form (or submit it information via postal mail) along with three photos of the child. Barbizon is a Consumer Affairs accredited company and was established in 1939. They represent kids, preteens and teens and have a variety of modeling, acting and personal development services. The first step parents can take is to fill out a short online form on the Barbizon website with their contact information. A talent director will then be in touch to discuss further details. Recommended by the MomTrotter blog and the HollywoodMomBlog, Zuri Model and Talent has locations in a New York and Los Angeles. MomTrotter praises the company for not requiring an expensive photo shoot, and thought it's more a newcomer to the scene (established in 2008), it is named as one of the top ten child talent agencies according to California casting director Katie Taylor. To get started, visit the Zuri website send the required information, including three to four photos, birth date and clothing sizes, by email. The modeling business can be a harsh world for young children. There are many concerns a parent might have in allowing their child to pursue modeling. 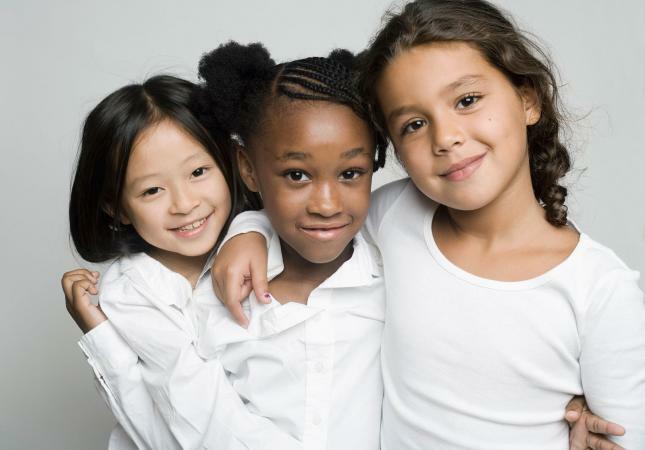 The modeling world can be extremely competitive, and this may be hard for children. If your kid asks to quit or seems to be upset about attending modeling appointments, it may be time to stop modeling. After all, most children do not get rich modeling - it is the excitement of the job and seeing their face in print that means the most to them. Before you can book a successful child modeling appointment for your kid, you need to be aware of child entertainment labor laws in your state. It may be necessary for you to obtain a work permit allowing your child to do the work. Letters of permission from doctors and schools might also be necessary. Call your state's labor office or ask your agent about getting the necessary documentation. Parents have to invest a lot of their own free time and even some money for a child's modeling career. Appointments (called "look sees") are often given with little to no notice. Traveling expenses, like gas and parking, are not reimbursed. Payment is often small, after commission to agents/managers has been taken off the top. Local companies or even some larger businesses may pay in gift certificates instead of cash. Another concern parents may have is that is can take time, from looking for casting calls and potential jobs to actually doing the modeling itself. Parents should consider if they have the time resources to take off or work or other responsibilities. A child's schooling also needs to be considered - if a substantial time will need to be taken off from school, are other options like homeschooling or private tutors a possibility for your family? Travel time should also be taken into account. There are many things for parents to take into account if they have a child interested in modeling. It can be a rewarding experience, but at the same time has a number of possible issues as well. Take the time to consider all the pros and cons as you make the decision to let your little one enter into the world of child modeling.